Find them: Available at the vineyard, through their website, via a CSA and at their tasting room in Kennett Square. CSAs have long been a way for small farmers to finance their operations—shareholders pay in advance and are rewarded throughout the season with top-shelf local products and an insider price. Paradocx Vineyard is applying that same system to their wines. 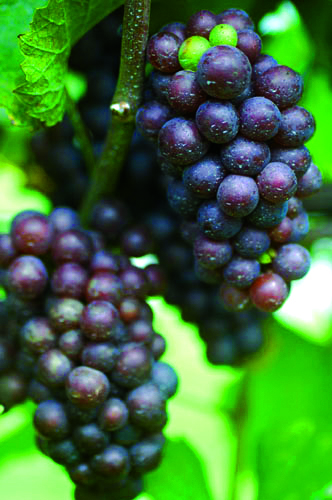 By purchasing a seasonal share, subscribers receive two cases of PDX wine, available at “Pick-up Parties” throughout the year, free admission to the vineyard’s Local Musician Music Series, one free “chic paint can” of wine (equal to four bottles), free wine tastings and discounts on additional wine purchased. Started by two couples—all four practicing physicians—Paradocx Vineyard is a labor of love for the Hoffman and Harris Families­. The 5,000-case winery in Chester County also hosts events and tastings throughout the year.